“Justice is the first virtue of social institutions, as truth is of systems of thought. A theory however elegant and economical must be rejected or revised if it is untrue; likewise laws and institutions no matter how efficient and well-arranged must be reformed or abolished if they are unjust.” – John Rawls in ‘A Theory of Justice‘. In the Spanish capital of Madrid and about seven thousand kilometers away, in Delhi – the Indian capital, significant ground surges are being felt in the political arena, surges that may very well mark the beginning of reformation and abolishment of unjust institutions in their respective spheres of influence. 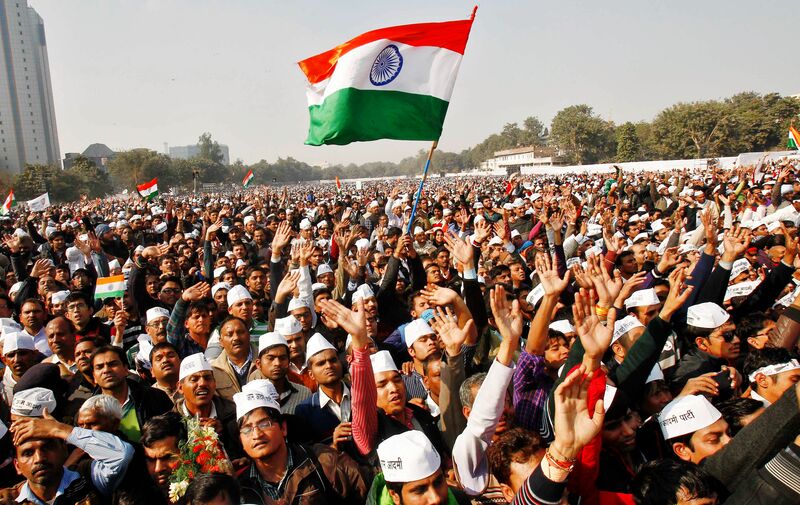 Both India’s AAP (abbreviation of ‘Aam Aadmi Party’ – Common Peoples Party) and Spain’s Podemos (translated from the Spanish as ‘We Can / We Can Do It’) rose to national political prominence with unprecedented rapidity, united with the central rhetorical and political position of zero tolerance for all forms of corruption, especially political corruption and corruption in high office. With regard to this, I choose not to use the term ‘Populist’ in my commentary title in a pejorative sense, but more to hint at the ground surge popularity seeded by a certain kind of political rhetoric founded in distributive justice and egalitarian ideals. 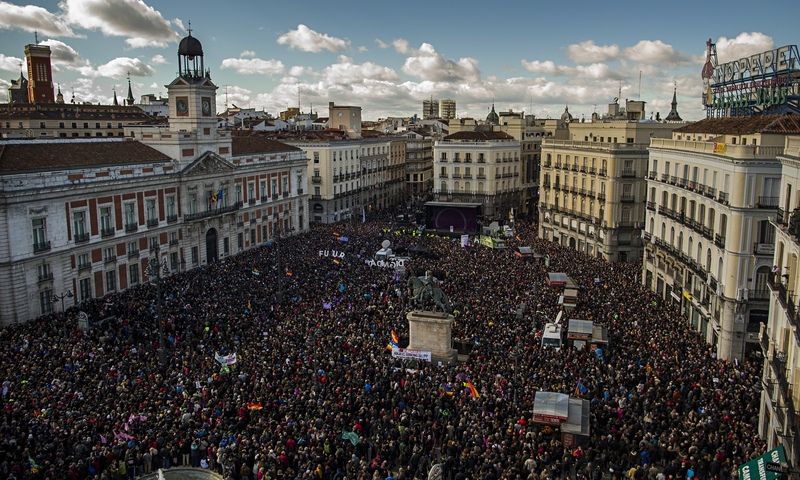 Significantly both AAP and Podemos are the offshoots of popular national uprisings – India Against Corruption (2011-2012) and Indignados / 15M movement [translated from the Spanish, ‘The Outraged’] (2011-2012) respectively, both movements seeking equality and end to rampant political corruption while protesting via civil resistance and sit-ins. From what was initially a loosely structured network of activists, in both cases, later galvanized into producing two charismatic and unconventional political leaders in the form of Arvind Kejriwal (b.1968) and Pablo Iglesias Turrión (b. 1978). Kejriwal, a former civil servant and Turrión, a political science professor, were unlikely candidates as catalysts for the arrival of the most interesting development in politics in both India and Spain respectively, in many years. 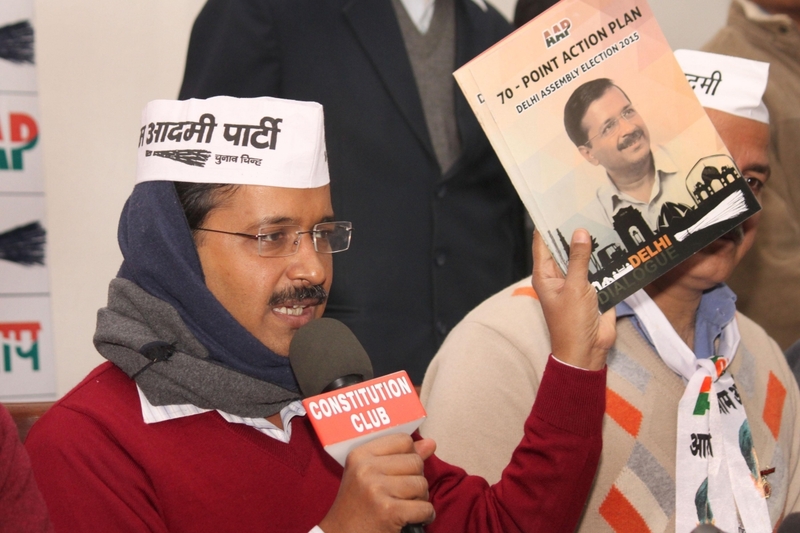 Any populist movement requires a charismatic leader, and Kejriwal and Turrión, with their ‘irreverence’ (can be dubbed as anti-elitism, especially the political elite) and unorthodox style, and ‘get-up’ (Turrión sports a pony-tail, Kejriwal a muffler), captured the popular imagination. In both Kejriwal’s AAP (f. Nov 2012) and Turrión’s Podemos (f. Jan 2014), the electorate finds a legitimate alternate front of political engagement, having been provoked into civil resistance because of democratic deficit and failing public office accountability brought about by years of non-energized bipartidism – in the case of Spain, the PP (Partido Popular / Peoples Party) and PSOE (Partido Socialista Obrero Español / Spanish Socialist Workers’ Party) and in the case of India, the INC (Indian National Congress) and the BJP (Bharatiya Janata Party / Indian People’s Party). Podemos is officially left / radical left of the political spectrum; AAP on the other hand has never been officially aligned to the political left in India. But in their political rhetoric, they distinctly resonate common resolves – of serving the people, and not private interests; outrage over corruption; protesting cut-downs and misuse of public funding; accountability and transparency, among others. The rapid rise of AAP in India and Podemos in Spain, has the established political elite in both the countries in a bind and back to the drawing board, for they are having to out-think and out-poll a young, agile, grass-roots mobilized political opponent, who also use their social media presence and official websites with considerable competence. It remains to be seen of course whether these candidacies of ‘unity and rupture’ finally do manage to light that “spark of excitement to exit the trap of despair” for the years to come.